Newark Mayor Ras J. Baraka and Public Safety Director Anthony F. Ambrose announce that cooling centers and public pools throughout the City of Newark are available to residents for use during this week’s heatwave. Bethany Baptist Church Senior Center, 275 West Market Street (entrance: 58 Hartford St.) – M-F, 9 a.m. to 4 p.m.
Kenneth Gibson/Sharpe James Aquatic Recreation Center, 226 Rome Street – M-F, 9 a.m. to 4 p.m./Saturday, 9 a.m. to 6 p.m.
Vince Lombardi Center of Hope, 201 Bloomfield Avenue – M-F, 9 a.m. to 9 p.m./Saturday, 9 a.m. to 6 p.m.
Nellie Grier Senior Center, 98-104 Maple Avenue – M-F, 9 a.m. to 4 p.m.
John F. Kennedy Aquatic Center, 211 West Kinney Street, 9 a.m. to 7 p.m./Saturday, 9 a.m. to 5 p.m.
Hayes Park West, 179 Boyd Street, M-F, 9 a.m. to 7 p.m./Saturday, 9 a.m. to 5 p.m.
Kenneth Gibson/Sharpe James Aquatic Recreation Center, 226 Rome Street – M-F, 9 a.m. to 7 p.m./Saturday, 9 a.m. to 5 p.m.
Rotunda Recreational Center, 75 Clifton Avenue, M-F – 9 a.m. to 7 p.m./Saturday, 9 a.m. to 5 p.m.
Saint Peters Recreational Center/Bo Porter Sports Complex, 378 Lyons Avenue – M-F, 9 a.m. to 7 p.m./Saturday, 9 a.m. to 5 p.m.
Boylan Recreational Center, 916 South Orange Avenue – M-F, 9 a.m. to 7 p.m./Saturday, 9 a.m. to 5 p.m.
All branches of the Newark Public Library will also serve as cooling stations. Check your local branch for hours of operation at: https://npl.org/about-the-library/hours/. Members of the homeless community may utilize Newark Pennsylvania Station as a Cooling Center when they are near that location. The Newark Fire Division will open hydrants when a request is made in person by an adult. Kindly visit your local firehouse to make a formal request. 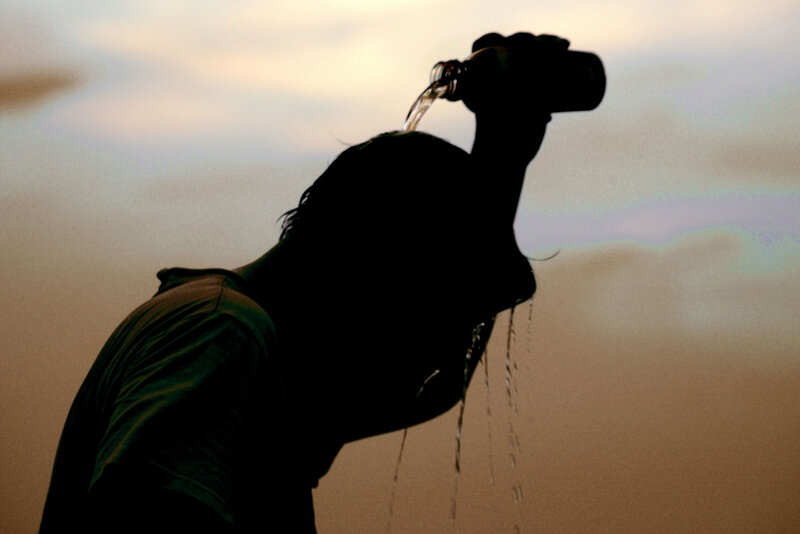 Seniors and young children are especially susceptible to heat-related illness. Those who care for them are advised to regularly check on them and to bring them to the cooling centers. Call 911 if you or someone you know is suffering from heat exhaustion, heat stroke or other heat-related illness.